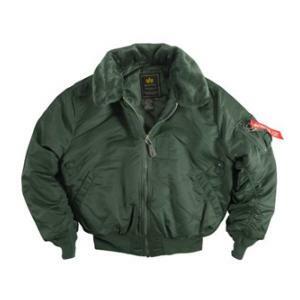 100% nylon authentic replica jacket with flight satin outer shell and polyester-batting filled nylon lining for warmth. Original details include faux-mouton collar, knit waistband & cuffs and five pockets. US materials sewn overseas to military specs.